« Ice Cream & Leaks! I hope you don’t get too tired working until the bitter end! I’m glad B is going to be cooking for you and that he gets a whole month off! My husband is only planning to take a week or 2. Your updates are never boring. Love hearing how things are going. Love the bump shot from above. Too cute, and you should feel pretty good about still seeing your toes! haha I can just barely see them! Happy 34 weeks! Love that bump! 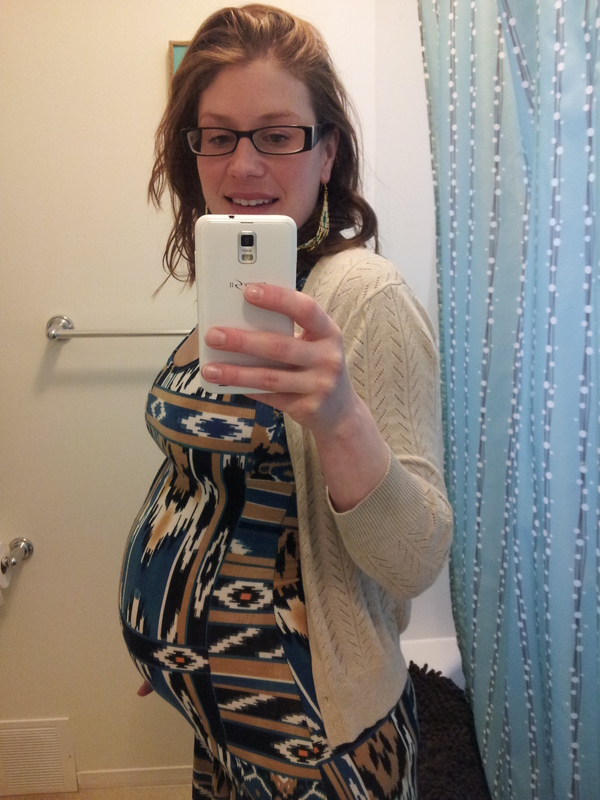 In Canada 37 weeks is full term (I think it’s different in the states though) Time did really fly by! Wow! That’s amazing, look at that little girl grow in there! Looking back I wish I froze a few back up meals as well. Koodos to you for keeping up with the exercise, it’s so easy not to do. 34 weeks? How did that happen? I feel like you just announced your pregnancy. It all goes by so fast. Just wait until she is here, then time really starts to fly! I’m tellin ya, it really is hard to believe I’m here already! How have you gotten to 34 weeks already?! I cannot wait to “meet” your little girl when she comes, you and Andino are going to make wonderful parents. I can’t believe you’re 34 weeks already! I doesn’t seem possible. You look wonderful. Much better than I did at 34 weeks.